Looking to part-exchange or sell your vehicle? Get a free market valuation below. Choose Thurlow Nunn for all your Vauxhall needs. We cover everything from brand-new and pre-owned models to affordable aftersales care. With 12 showrooms located across Cambridgeshire, Buckinghamshire, Suffolk, Norfolk and Bedfordshire, we’re one of the biggest Vauxhall dealerships around. Why not pop by your local dealership to discover what we can do for you today? From the compact ADAM to the impressive Grandland X, there’s loads of different vehicles to explore at our showrooms. And if you fancy taking one for a spin, just say the word. We can get a test drive booked for you – it’s the best way to get a taste of the Vauxhall experience. Don’t forget to ask about our flexible finance packages too if you’d prefer to spread out the cost. On the hunt for a second-hand model instead? We’ve got a great selection of pre-owned Vauxhalls for sale. And just because they’re not brand-new, doesn’t mean they compromise on quality. Our technicians inspect each vehicle and only the very best appear on our forecourt. Keep your eyes peeled for our Approved Used models too. Sold through Network Q, they’re manufacturer-approved and come with a variety of extra perks such as free warranty and roadside assistance. Are you eligible for the Motability Scheme? We can help you find your perfect Vauxhall – one that works in the best way for you. Business customers can count on us too. Whether you’re looking for a brand-new van or want to expand your fleet, speak to one of our commercial experts. When it comes to keeping your Vauxhall in tip-top condition, look no further than our affordable aftersales care. From MOTs and services, through to accident repairs and replacement parts, we’ve got you covered. Our technicians know everything there is to know about Vauxhall’s models, so your vehicle will be in safe hands. Browse our website today to see all our Vauxhall products and services. Any questions? Pick up the phone or drop us a message using our online form. Or why not stop by to speak to us in person? Whatever you need, we’ll be more than happy to help. We look forward to welcoming you at your nearest Thurlow Nunn Vauxhall dealership soon. † £500 cashback only available on orders placed after April 3rd 2019. Offer ends 30th April. Offer can be used in conjunction with current marketing programs. Models shown are Astra Griffin 5 door in Mineral Black Metallic paint, Corsa Griffin 3 door in Lava Red Brilliant paint, Mokka X Griffin Plus 5 door in Summit White Brilliant paint and ADAM Griffin 3 door in Let It Blue Premium paint. Available at Thurlow Nunn. Limited stock availability. Colours and model variants for Griffin special edition subject to availability. Models shown are Astra Sports Tourer SRi and Insignia Grand Sport Elite Nav. Offer subject to availability, on selected models at Thurlow Nunn. Conditional Sale. Finance subject to status. Ts&Cs apply. Applicants must be 18+. Finance by Vauxhall Finance, CF15 7YT. 24-60 month terms available. Offer applies to private individuals, Vauxhall Partners and small businesses 1-24 vehicles. Offer available on orders or registrations from 5 April 2019 to 4 July 2019. 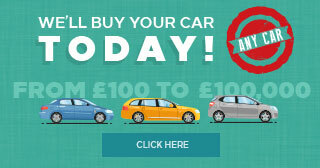 Vauxhall Motors Limited reserves the right to change, amend or withdraw this offer at any point in time. Thurlow Nunn Limited is authorised and regulated by the Financial Conduct Authority for consumer credit activity and our registration number is 682424. Thurlow Nunn Limited is an appointed representative of ITC Compliance Limited which is authorised and regulated by the Financial Conduct Authority (their registration number is 313486) and which is permitted to advise on and arrange general insurance contracts. Thurlow Nunn Limited trading as Thurlow Nunn are acting as a credit broker and not a lender. We can introduce you to a limited number of lenders, commission may be received.